This one is going around teh Facebook today. I like the reminder that we were not founded on Christian values as I’ve heard people put forth (e.g., “This country was founded on the Ten Commandments!“), and that our government documents used to reflect our shared secular values. I’m not so much of a fan of the idea that we should adhere to the original values because they are the original values that were agreed upon around 200 years ago. As a progressive I understand that change is necessary as our interactions with and understanding of the world around us evolves. We should adhere to the secular values implied in the image below because only by keeping the divisive religious dogma of hundreds of different religious ideologies out of our government – the one thing that unites most of us in this country – can we live together in something that approaches harmony. 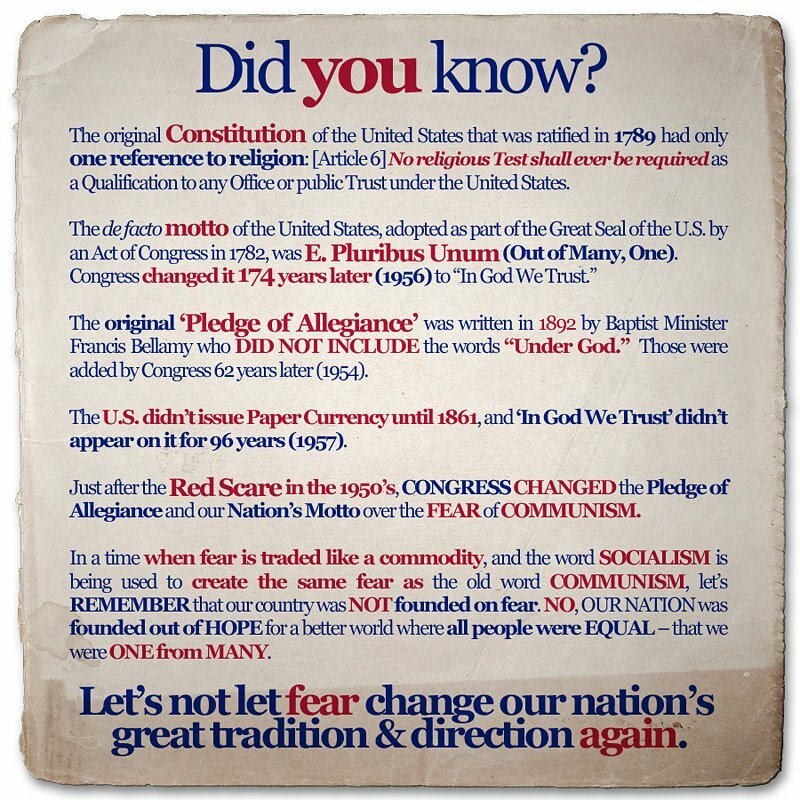 Let’s not let fear change our nation’s great tradition & direction again.